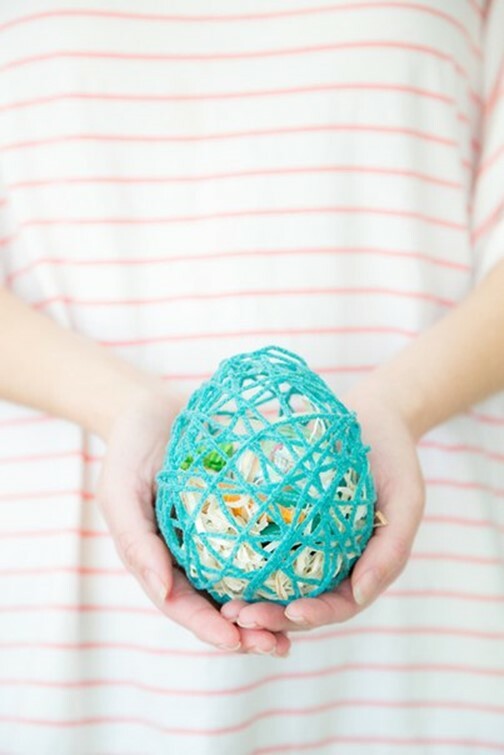 This cute Easter egg is made of yarn. 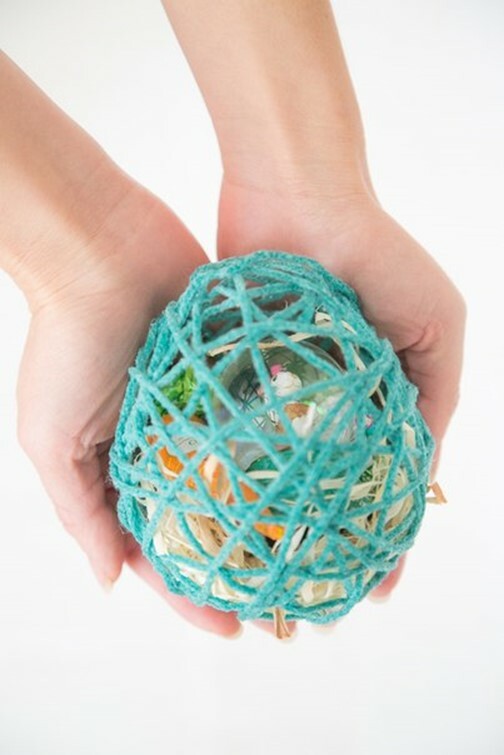 You can place small gifts in it to please your closed ones. 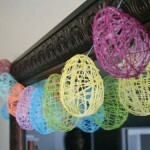 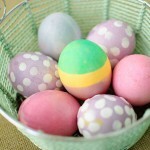 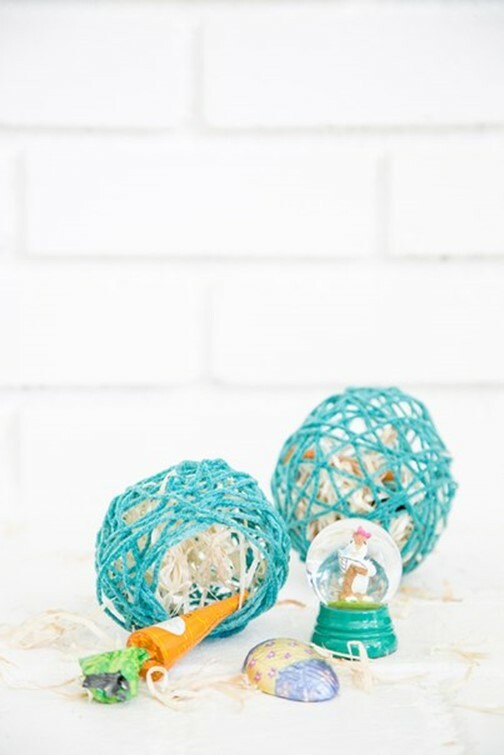 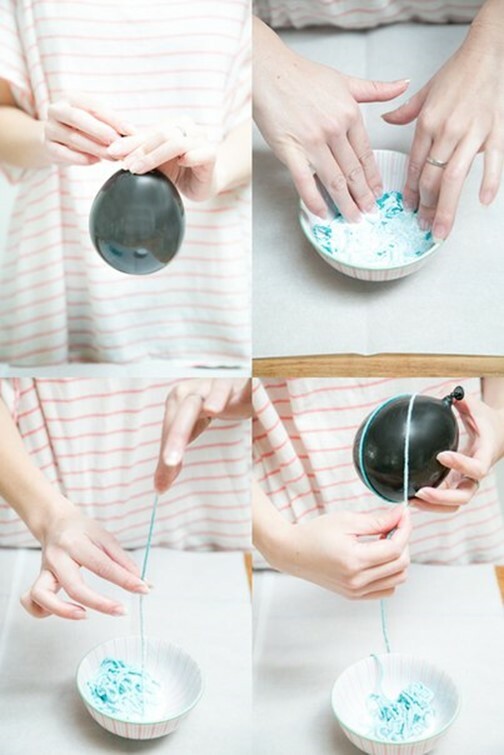 To make this fun Easter crafts place the yarn in a bowl of white glue (PVA). 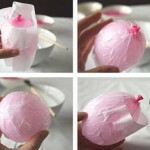 Then inflate a small balloon and use soaked yarn to wrap it. 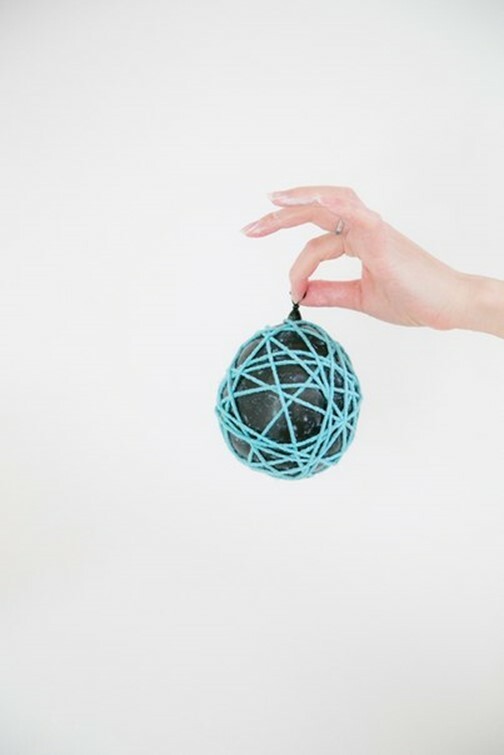 Now prick the balloon with a needle and you will get an egg with the stable form. 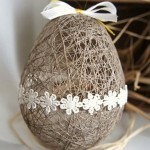 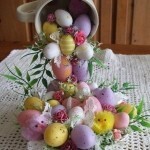 Such a beautiful Easter egg is perfect for festive decoration of the interior. 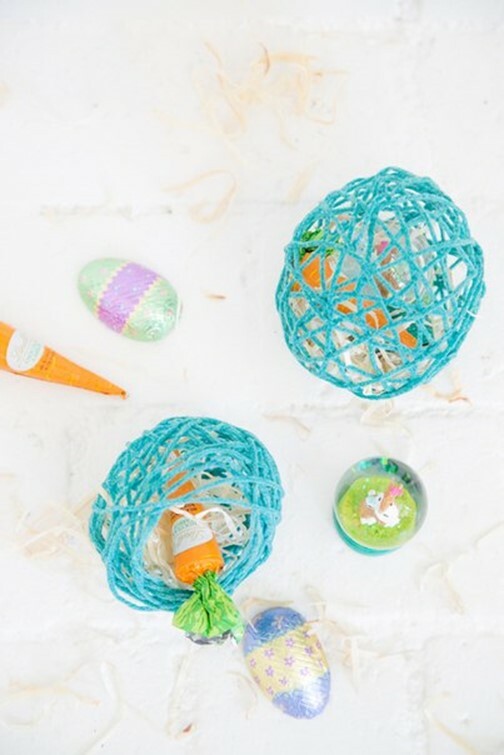 Place the eggs inside sweets or gifts and the kids will be happy!